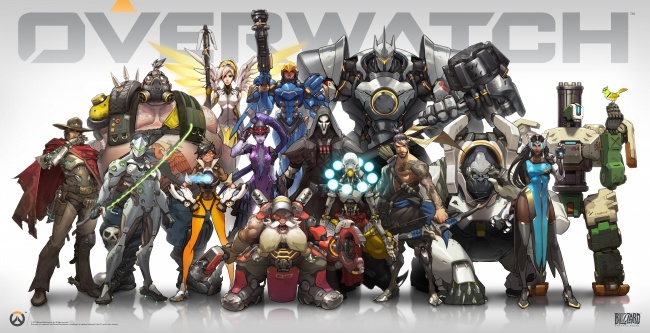 Overwatch is Blizzard's first new franchise in close to two decades, and the studio's first foray into the FPS genre. Designed for competitive play, Overwatch is one of a few shooters that will be at the forefront of the eSports scene in the years to come. Even before the beta test began, comparisons were drawn between Overwatch and Valve's Team Fortress 2. They're both team-based FPS games that feature a variety of playable character classes, all of whom contribute differently to the team. 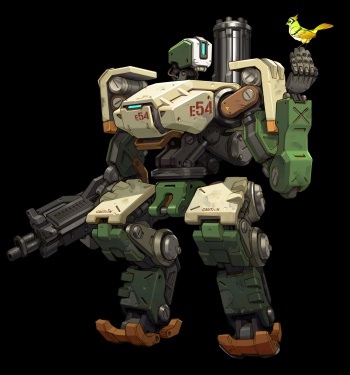 Calling Overwatch Blizzard's take on TF2 might not be the most accurate way to describe it, but there are definitely some strong similarities between the two. With that in mind, I've endeavored to detail the ways Overwatch is better than TF2, and how it might be worse, with room to improve. Team Fortress 2 deserves style points for being set in a sort of 1960s, James Bond-inspired setting taken to the next level. As neat as it is, the maps all look the same after awhile: a faux-barnyard/hidden nuclear missile silo. Beyond that, there isn't much detail given to these environments. Overwatch shines in this regard, with the few maps that are present in the beta each set in a unique location. For instance, there's the Japanese suburb of Hanamura, which has an arcade replete with gaming machines featuring characters from Blizzard's other franchises. You can even blow them up if you get tired of looking at them. Other locations include the ancient Egypt-themed Temple of Anubis, and the futuristic African city of Numbani. Additionally, the map design caters to each of the character classes, playing to their strengths and weaknesses by providing vantage points for snipers and offering multiple routes for flanking opportunities. Bigger isn't always better. This is a fact that couldn't be truer with multiplayer shooters, where larger maps hosting more players often only result in more chaos, dying more often, and having a lot less fun. Designed around 6v6 matches, Overwatch offers a tighter experience with fewer loose parts to worry about. Whether on the offense or defense, every player fills an important role, so players can figure out how best to contribute. A handy tip system in the character selection screen informs players which classes are needed for a balanced fireteam. Playing Team Fortress 2 on larger servers (10v10 or higher) can only be described as a chaotic experience. With rockets flying all over the place, it can be difficult for either team to maintain any semblance of coordination. The situation is even worse on larger maps in games like Battlefield 4, but I won't even go there. Team Fortress 2 has a total of nine playable character classes, each filling multiple roles due to the availability of different weapons. The fact that each character can carry multiple weapons at the same time-including altogether different types of weapons, like swords and shields for the Demoman-can make it difficult for players to strategize. It can be difficult for players to properly counter each other, especially when classes like the Soldier have weapons for close, medium and long range encounters. Some classes, like the Soldier and Pyro, even share the same mid-range shotguns. While this allows every class in TF2 to perform a wider variety of roles, you'll never know what to expect. In contrast, characters in Overwatch carry signature weapons that can't be swapped or customized. While that might initially sound like a bad thing, the game makes up for it by offering well over a dozen character classes, each with their own special weapon, mode of traversal, and Ultimate ability. Some even have secondary attacks and support abilities. While playing, you'll always know what to expect when you encounter Tracer, Symmetra or Reinhardt, or any other character. Each character's unique set of skills and weapons makes them worth learning, and more importantly, worth specializing in. Personally, I enjoy getting up-close and personal with the Reaper, whose devastating twin shotguns, teleport and temporary invulnerability allows me wreak havoc behind enemy lines.